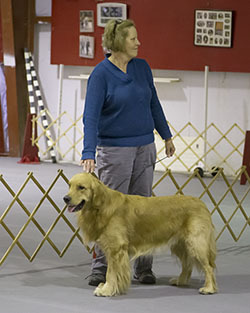 The Nebraska Kennel Club sponsored B Matches for Conformation and Obedience on Sunday, Jan 17, 2016. Despite the extremely cold weather (-2 F at the start), we had an excellent turnout. Congratulations and thanks to all who participated in this event! Below is a link to photos from the B matches. Unfortunately, due to simultaneous events occurring in two rings, I was unable to take photos of every exhibitor. I apologize to those participants I didn't get to.